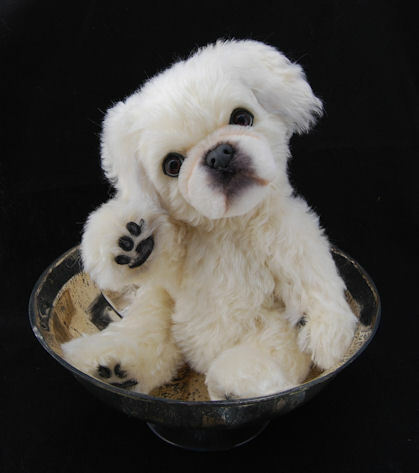 Since someone I know (cough:Brenda:cough) is now making fabulous custom stuffed animals, I’ve been hinting that it would be nifty if she added stuffed French Bulldogs to her repetoire. 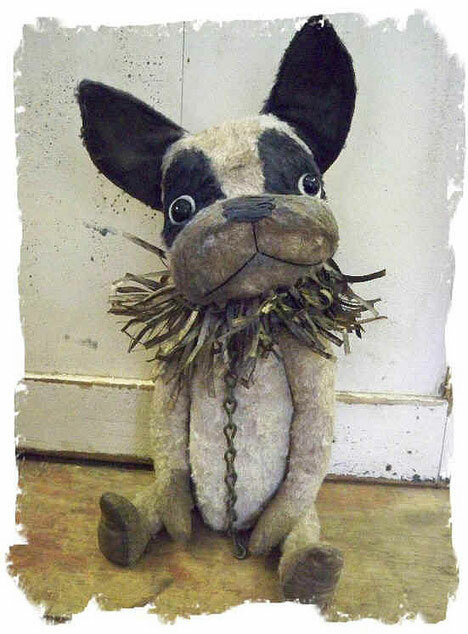 In a serendipitous moment, I stumbled on this absolutely stunning ‘vintage’ French Bulldog stuffie on Flickr. Whendi does gorgeous custom work, in all kinds of breeds (also EllyFonts, Bunnies and Bears, oh my!). 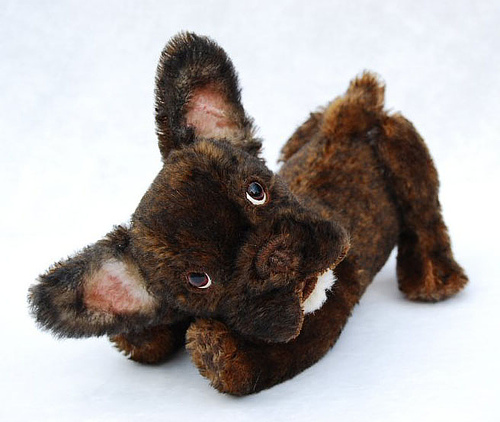 Made from custom tinted mohair, it’s got the look of a pre loved vintage toy. There is the distinct possibility that I made die if I do not get one. Seriously. Just looking at his ittle tiny face makes me go all “squee!” and girly from the overwhelming rush of cuteness. He’s made by Lollihops, who has an Etsy store so jammed full of stuffed toy sweetness that I get faint just looking at the first page. I heart her Peke stuffy so much I might have to go and get a Peke, just so I can justify buying it. Yes, I am the kind of person who gets dogs to match my toys. Don’t you judge me. https://i0.wp.com/www.bullmarketfrogs.com/wp-content/uploads/2015/04/Brindle_pied_frenchbulldog.jpg?fit=662%2C662&ssl=1 662 662 Carol http://www.bullmarketfrogs.com/wp-content/uploads/2015/06/bullmarket-logo.png Carol2010-10-07 11:33:412010-10-07 11:33:41Fabulous French Bulldog Stuffies! This is SO going to be under my Christmas Tree this year!!! I have collected vintage teddy bears for as long as I can remember…some have been eaten by dogs over the years, but several remain, albeit not in the best shape…hospitalization wouldn’t be out of the question….these “bears” are so freakin cute…..Mine will, of course, be wearing pink!